Blocked drains are one of the most common problems in any household. Whether it’s a sink, basin or toilet, drains get blocked every day and cause a lot of headaches. Pouring bleach down the sink works to a certain extent, but after a while something has to be done to unblock it. And if you’re in charge of a public building like a school or then the drains are probably going to need a whole lot more than just bleach. The best piece of advice when dealing with blocked drains is: don’t try and unblock it yourself. Drainage services companies often find that when they are called out, they have to deal with a much worse problem than it the customer hadn’t tampered with the drain themselves. Rather than just dealing with the blocked drain, they suddenly find themselves confronted with a blocked and damaged drain, creating much more work. This is not only frustrating for the drain clearance company, but ends up costing the client much more. 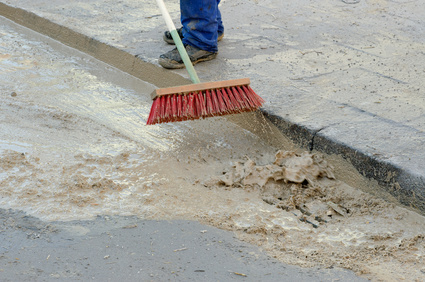 There are two principle methods used by drain clearance companies to clear blocked drains. The first is manual rodding. Manual rodding is pretty much what you think it is: using a long metal rod to manually clear any debris blocking the drain. It is useful where there isn’t much space, but amateur attempts at doing this are one of the biggest causes of drain damage. It may sound like a spectacularly simple methodology, but it is a lot more involved than one might assume. The second, far more exciting technique is that of high pressure jetting. Again, the moniker given the technique makes an explanation almost redundant. However, it is worth noting that high pressure water jetting is so effective that it is also used for a number of other applications, such as cleaning gum of pavements and car parks. When there is enough space to properly utilise it, high pressure jetting is the most effective way of clearing blocked drains, as it also cleans residue from the side of the drain that could otherwise eventually build up into a blockage. As such, high pressure jetting is a technique that is sometimes used pre-emptively to prevent blockages, rather than waiting for the drain to get blocked at all. This is particularly useful for large public buildings where a blocked drain could easily spell disaster and lost working time. Blocked drains can be an enormous headache. The best thing you can do to avoid further headaches in the future, is call a professional.